If you are planning a super cheap trip to Europe, Paris is one place where you can still survive on a shoestring. Although prices have shot up over the past few years, this is still a city beloved by starving writers and artists and some of the finest things in life are – if not free – at least very cheap. Here are some tips for how to get the best out of Paris on a backpacker’s budget. 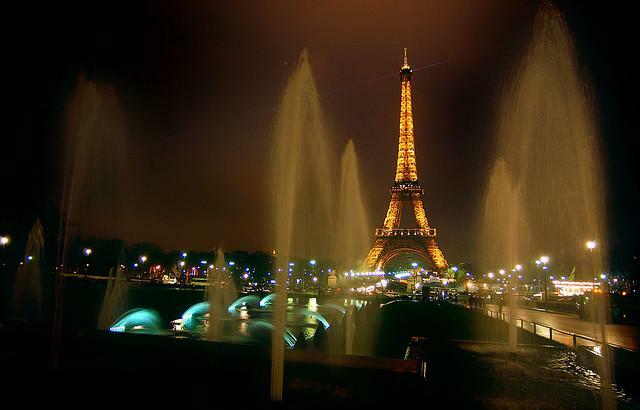 There are so many ways to get to Paris cheaply now that it is almost a crime not to go. Cheap flights to Paris from the UK start from around £40 but there’s also Eurostar and ferry companies who all offer great deals and discounts, especially if you go out of peak times and are willing to travel during the hours others may not be. Paris has a fantastic range of accommodation, from the 5 star luxury of the Georges V near the Champs Élysées, to the student accommodation in Bastille. There are cheap hotels and hostels all over the city, even in some of the most affluent areas. Hôtel des Trois Collèges (16 rue Cujas, 5-ième. Tel: +33 1 43 54 67 30 www.3colleges.com) has charming, simply decorated doubles from €105 a night. Hôtel du Globe (15 rue des Quatre-Vents, 6-ième. Tel: +33 1 43 26 35 50 www.hotel-du-globe.fr) is wonderfully eccentric and fantastically well restored and has doubles from €110 a night. If you can’t feed yourself in Paris on a backpacker’s budget, then you’re likely to hungry for the rest of your life, as this city is literally overflowing with delicious, cheap food. You can get breakfast, lunch, or an afternoon snack with a coffee at any one of the many patisseries dotted around the city for a couple of Euros. French supermarkets have phenomenally low prices for all the local products like wine, cheese, chocolate, bottled water and bread. It’s very easy to shop at a supermarket and eat like a king on a backpacker budget. If the weather is nice then take lunch outside as Paris has some excellent picnic spots – the Champ de Mars near the Eiffel Tower, the quais along the Seine and the Bois de Boulogne or the Bois de Vincennes, to name a few. If you want to eat out on a backpacker’s budget then seek out set menu deals. If you eat in a French restaurant, serving French dishes made with local ingredients, your lunch will cost less than a restaurant using imported ingredients. Un Zebre a Montmartre bistrot in Montmartre does light, Provencal, with dishes like tuna carpaccio or marinated scallops (38 rue Lepic. Tel: +33 (0)1 4223 9780 unzebreamontmartre.com) set lunch from €15 and set dinner from €21. L’Ebauchoir in the Quartier d’Aligre, serves old fashioned traditional dishes – roast guinea fowl, braised pork ribs and crème caramel – in a lively atmosphere (43, rue de Citeaux. Tel: + 33 (0)1 4342 4931 www.lebauchoir.com) Set lunch here costs €14 and dinner a la carte, €35-40. Paris is a great city for walking and with its wide boulevards and wonderful architecture you can spend hours just strolling around the city and taking it all in. Best of all, this most beloved of tourist pastimes is completely free! Wander through the streets of Montmartre, walk up the Champs Élysées to the Arc de Triomphe, watch the Eiffel Tower light up from the Champs de Mars, or marvel at the dark beauty of Notre Dame. If you want to take in some culture whilst in Paris on a budget, it is worth noting that you can buy a Carte Musees et Monuments museum pass which will allow you to visit as many as 60 museums for 3 or 5 days. Should you be lucky enough to be visiting in July or August then head to ‘Paris Plage,’ the man made beach along the road from Ile St. Louis to the Jardin des Tuileries and have a picnic on the sand by the Seine. If you visit in winter, then look out for the ice skating rinks that pop up around the city as these are mostly free. For fashionistas on a shoestring, the Galeries Lafayette department store hosts a free fashion show each Friday from March-December and the Rue Saint Honore offers some of the best window shopping opportunities in Europe. Pavement cafe society in Paris means that you can enter into the lively evening atmosphere for the price of a kirsch. If you fancy some cabaret, the Aux Trois Mailletz (56, Rue Galande) in the Latin Quarter has a vaudeville show that costs €25 a ticket downstairs, but upstairs in the more casual piano bar, you need only buy a drink to sit and enjoy the atmosphere. If you want to hit some clubs whilst in Paris but the cover charges leave you feeling distinctly broke, then head to the cool clothing shops of the Marais, or to one of the city’s many DJ bars, and pick up flyers for free or reduced entry. Amy Williams, the author of the “Paris on a backpackers budget” is a guest blogger from Easyjet who offer cheap flights to Paris from the UK and airports Europe wide.